Commercial vehicles are putting batteries under more strain than ever before, which means fleet operators need a robust and hardwearing battery. Through battery distributor Easystart, Monbat believes it can provide exactly that. Established in 1959, Bulgarian-based Monbat is a leader in battery manufacturing and is now reported to be the largest battery producer in Eastern Europe. With production and recycling plants in five countries, Monbat uses the latest technology to produce CV batteries that match many OE approvals in the marketplace; supplying these to such companies as Dennis Eagle and Arriva Bus. However, the market is constantly changing, and Monbat now offers an AGM range to keep up with demand. With the modern commercial vehicle becoming a home for the driver while on the road, as well as a transport vehicle, the focus of many fleet engineers has switched to new technologies capable of supporting such deep-cycling characteristics consistent with the running of additional electrical equipment. 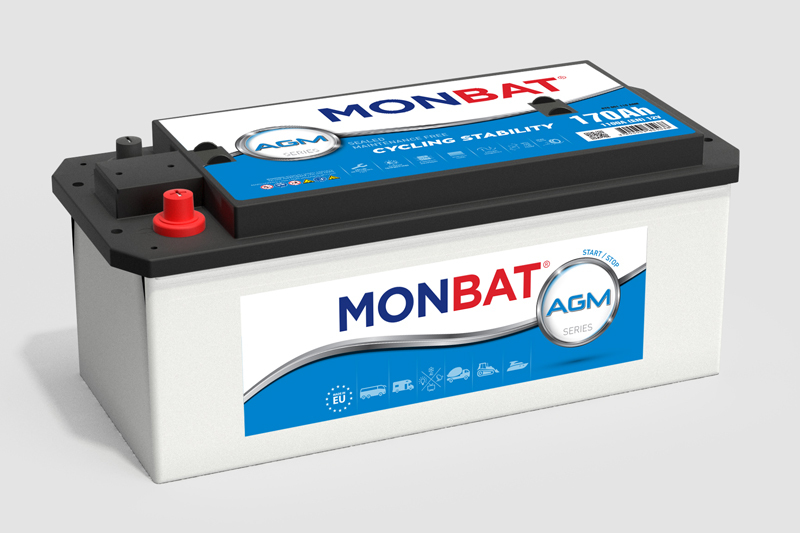 Following extensive research and development, Monbat has developed its latest AGM battery for the most demanding modern vehicles and their electrical systems. These sealed, maintenance-free, leak-proof batteries have absorbent glass mat (AGM) separators that help to retain the electrolyte in a stable state by absorbing it; meaning that it is ready and waiting to be discharged and recharged. Compared to a traditional wet lead acid battery, Monbat’s AGM has more plates that are larger, thicker and made of purer lead, with a lower risk of corrosion due to the compact nature of the battery and the fact that the acid is held in suspension. This provides a reliable energy supply during extended engine-off periods. With these deep-cycling characteristics, the company’s AGM batteries are suited to buses, emergency vehicles and large plant equipment, and the additional electrical equipment found on these vehicles. The AGM range has achieved the highest vibration resistance rating, V3 (EN 50342). Each battery is fitted with inserts to provide stabilisation for the plate bridges; the plates themselves are fixed at the top and bottom with a hot melt resin, adding further strength and stability. These features help combat plate breakdown when enduring tough road conditions, meaning the Monbat AGM is also suited to an end of frame installation. Monbat ensures that the highest level of quality control is maintained throughout its manufacturing process. The in-house ‘Startbat’ laboratory is engaged in the testing and quality control of all batteries produced by the company. This laboratory also works in close co-operation with the Central Laboratory of Electrochemical Power Sources (CLEPS) of the Bulgarian Academy of Science, to achieve the highest quality and most efficient product. Every single CV battery produced is subject to vigorous testing along all stages of the production line, with any unsatisfactory results leading to the removal of the battery in question. 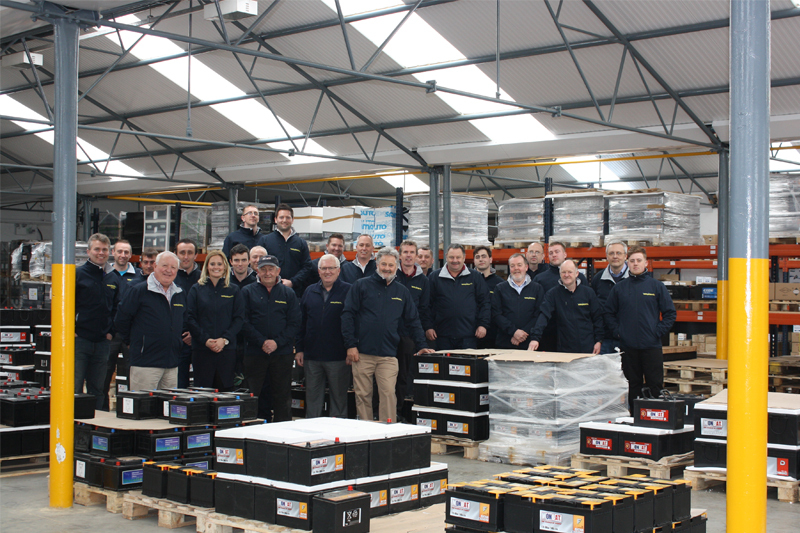 The thoroughness of the research and testing allows Monbat to be confident in offering a two-year unconditional warranty on all AGM batteries when fitted to the correct vehicle. For more information on the Monbat range, click here.